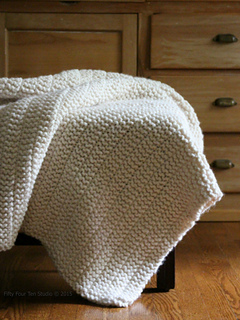 The Boulevard Blanket….it’s quick, easy, chunky, warm and reversible! MAY 2017: This pattern has been updated to include instructions for six sizes. The name of this pattern is inspired by the beautiful tree lined boulevards of my hometown….Kansas City. For more info see my blog post. Once in a while knitters have trouble getting on track with this pattern. 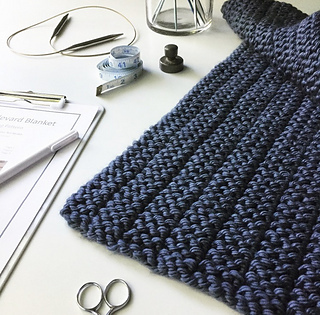 I have created a free PDF tutorial for The Boulevard Blanket to address the most common mistakes. If you have trouble downloading it using the link, send me an email and I would be happy to forward it to you. You will need to know how to cast on stitches, knit and purl confidently, bind of stitches and weave in ends. 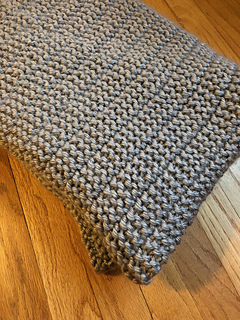 This pattern is written in standard U.S. knitting terms. 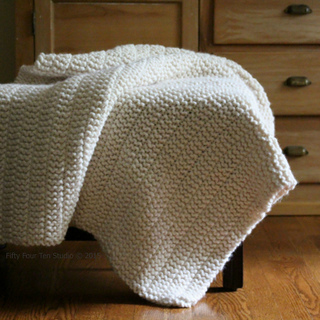 This pattern is knit with super bulky yarn so you’ll have this blanket knit up in no time. 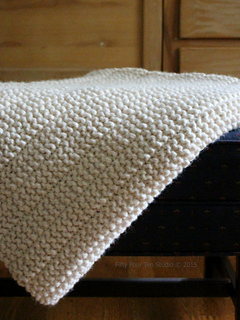 If you prefer a lighter weight yarn (worsted weight or similar) see my free Meadow Lane blanket knitting pattern. 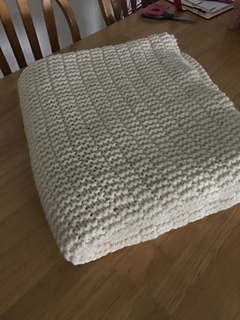 The blanket is knit in one piece, back and forth on 32” long circular knitting needles US size 13 or 15. Exact gauge is not essential. However, knitting should be fairly tight for desired appearance.